Released this past Tuesday, the important new book Why Obamacare Is Wrong for America has gotten noticed by Fox News, NPR, Town Hall, National Review, and readers nationwide, who keep it climbing up the Amazon bestseller charts. The Foundry interviewed Heritage’s Bob Moffit—one of the four co-authors—who reveals how the book came together and why it matters. The Foundry: Other laws passed in the last two years also have their critics. Why devote a whole book to just this one new law? Bob Moffit: Because the Patient Protection and Affordable Care Act (commonly referred to as “Obamacare”) is historically unique. Never before has Congress enacted a comprehensive overhaul of one-sixth of the American economy, affecting all 300 million Americans, in one giant bill over 2,700 pages in length. Never before has Congress enacted major social legislation on a narrowly partisan basis in the teeth of popular opposition. Never before have 28 regionally diverse states united in challenging Washington in the federal courts. Health policy dominated the last election; it will play a major role in the next election. And the outcome of this national debate will shape the life of every person reading these lines. Q: When did you, Grace-Marie Turner, and the other co-authors first discuss writing a book together about Obamacare? Moffit: Grace-Marie Turner, president of the Galen Institute, called me during the summer of 2010. After the mass protests and the demonstrations and the backlash from the previous summer’s town hall meetings fresh in their minds, congressional leaders were clearly on the defensive over what they had done in March. Turner pointed out to me that ordinary people, from all walks of life, were desperate to learn as much as they could about what was in the law and how it would affect them, and we needed to make the law accessible to them in plain English, devoid of the jargon that routinely accompanies health policy discussions. She also suggested asking Tom Miller of the American Enterprise Institute and James Capretta of the Ethics and Public Policy Center. I agreed that they would be terrific collaborators on a project like this. Q: Tell us about the writing process. How did you all collaborate and still ensure that the book has one voice? Moffit: We all shared the same basic approach to the subject, and, despite some differences over the significance of items in the law, we all shared the same approach to health policy. We all agreed to write each chapter in the second person. The target of every thought, every sentence, every paragraph was to be: you. This was to make the narrative appealing to the reader and encourage clarity and simplicity in the language. We agreed among ourselves to write chapters on different areas of the law and its impact on different classes of Americans. The writing started over the Thanksgiving and Christmas holidays and continued non-stop until mid-February. Beyond the assigned chapters, we would each review all the draft chapters. Grace-Marie Turner was the project leader. Not only was she the lead writer, but she and her team at the Galen Institute edited and integrated the authors’ different styles into a seamless book. Our editor, Adam Bellow at HarperCollins/Broadside Books in New York City, really helped shape the book and organize the approach that we took in the book. The authors also had sessions where we would meet in person and go over the chapters, sometimes line by line, making corrections and offering suggestions. All the while, the team at the Galen Institute proofreading, fact-checking, and working to get the book completed on a very tight deadline. Q: What strengths does each co-author bring to the table? Moffit: One of the great advantages of our collaboration is that we have known each other for years, and we were familiar with each other’s work in the media and professional journals. But health care is the domestic policy equivalent of China. While I brought to the table a strong background in Medicare based on my duties at the Department of Health and Human Services during the Reagan Administration, Turner had focused heavily on health insurance, the impact on vulnerable Americans, and federal tax policy governing health insurance. Capretta, a former top official at the U.S. Office of Management and Budget during the Bush Administration, was a nationally recognized expert on health-related tax and budgetary issues. And Miller, a lawyer by training, had closely followed the legal controversies, including the court cases and the regulatory issues flowing from the enactment of the law as well as on the impact of business. All of us worked together on the overview of the law and on what we should do instead. Q: The book gives the facts in clear language, yet there’s a lot to get through. Why should busy American families care about a complex law passed in far-away Washington? Moffit: This law guarantees that Washington is not far away at all but deeply involved in your personal life. The law will dictate what kind of health plan you have, what medical benefits and treatments you will have, what you will pay in new taxes, what it will mean for your employer and your compensation, and what it will mean for your doctor in his medical practice. Moreover, many decisions that will affect you and your family will be made not by Members of Congress but by bureaucrats you will never know and never meet. Q: Since last year, Americans have consistently told pollsters that repealing this law is the best route. But could Obamacare be fixed? Moffit: Repeal is the only answer. You cannot rebuild a health care system based on personal freedom and market competition on bureaucracy and central planning. The poisonous tree yields bad fruit. Q: What should we do instead to get health care reform right? Moffit: We have a chapter in our book about what we should do instead, moving to a system that puts consumers in charge of choices, provides new incentives for a properly-functioning market, and fixes policy flaws at the root of many of the problems in our health sector. Just this week, Nina Owcharenko, director of Heritage’s Center for Health Policy Studies, has recently outlined the roadmap for reform in “Restarting Health Care Reform: A New Agenda.” There are a large number of specific policy changes that need to be made. Broadly speaking, if you want to fix the health care system, you need to make tax policy fair and rational, give individual tax relief to persons to buy the private coverage of their choice, promote competition in the health insurance markets (including the right to buy health coverage anywhere in the country), fix the broken entitlements (Medicare and Medicaid) and introduce market forces into those programs to control cost and secure higher quality of care, and encourage state innovation—including health insurance market reform and medical malpractice reform. Learn more about Why Obamacare Is Wrong for America (a publication of HarperCollins/Broadside Books) at WrongForAmericaBook.com; you can get your copy today at Amazon.com or in bookstores nationwide. 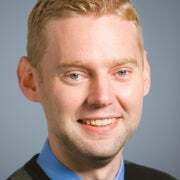 After 10 years in communications and marketing roles at The Heritage Foundation and Focus on the Family, Josh Shepherd serves as communications manager at Bound4LIFE, a faith-based pro-life organization.